In my childhood, summers stretched long and leisurely. The two places you’d find me were at our cottage on the lake or my Grandma’s farm-house, a mile away from our cottage through the woods and across the field. My Grandma had a currant bush. Each July, one or more of us cousins, Uncles and Aunts were handed an aluminum bowl with a dented silver bottom, and a low wooden stool to sit on, and sent out to pick the currants. That task, and that shiny, dented bowl passed as a torch of honour among us. There always seemed to be enough currants for several of us to have our day to help pick the seemingly endless supply of brilliant, red berries, and later, be given more than our fair share of praise for the resulting pies. 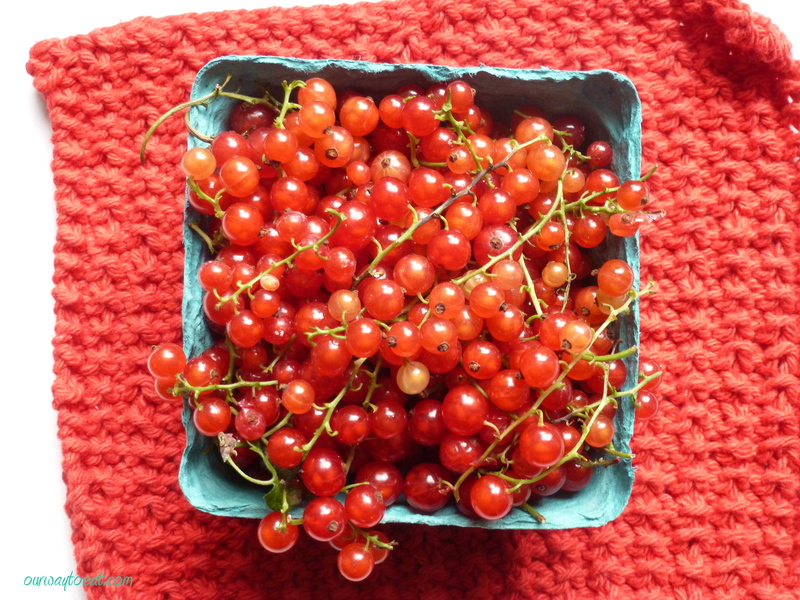 When I picked the currants in Grandma’s yard they reminded me of beads, dangling from intricate jewelry–abundant, glowing, red orbs, suspended from a wire-thin stem, and secured with a tiny knot. I ate many of the shining rubies right off of the bush. My Grandma lovingly folded those that made it into the house between crusts into a pie, baked in a much-used tin pie pan, and served it warm with a generous scoop of vanilla ice cream for dessert. The tart-sweetness of the berries under tender crust lingers in memory, inseparable from the warmth of summer days with Grandma. A few weeks ago at the Farmer’s Market I came upon an older Tasha Tudor-like lady who wore her long hair wrapped around her head in braid. She had 4 or 5 little berry boxes filled with Red Lake Currants sitting out at her stand. When I bought them, she told me that she likes to eat currants on yogurt for breakfast, or in salads. She also told me they’d be good for a few weeks. 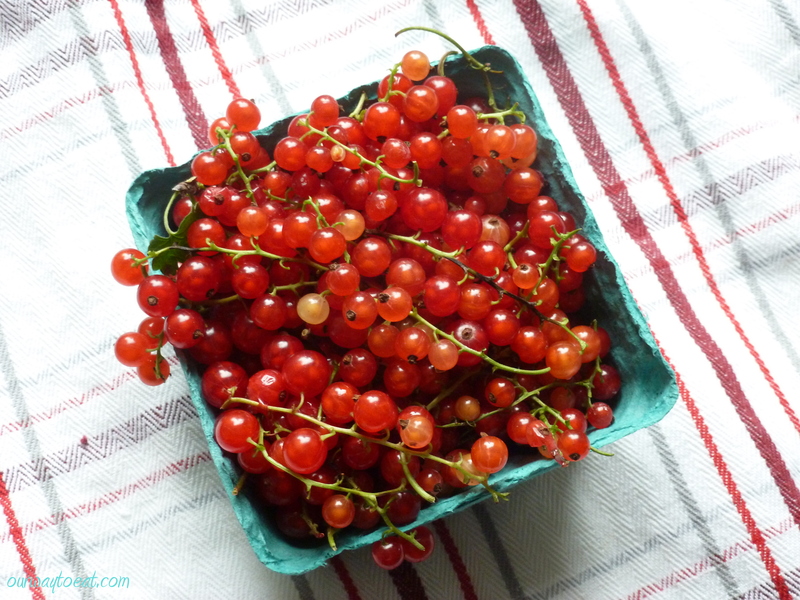 I felt a gentle touch of my Grandma’s spirit tasting those tart currants and talking to the sweet elderly lady. I couldn’t bring myself to add the currants to yogurt or salad. This early-July treasure must be made into a dessert. 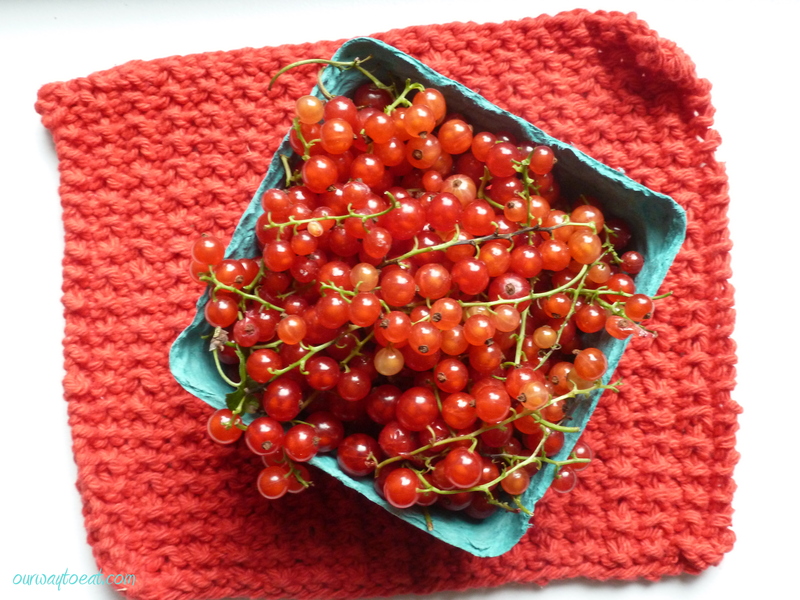 I couldn’t think of anything I could make that would do the currants justice–I am not much of a baker. 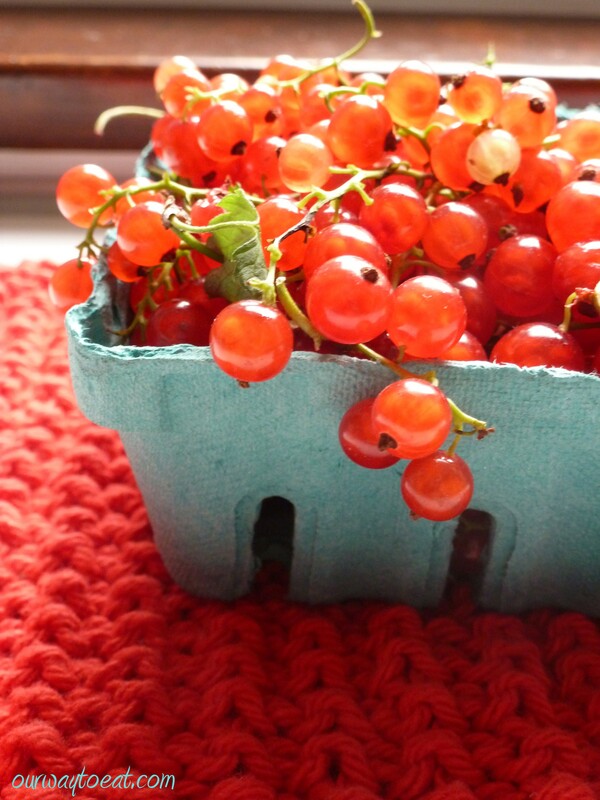 I put the currants in a bowl and carried them with me up north to the lake last weekend. I left the bowl of currants with my mother. She knows the tart-sweetness of the pie in my memory and will adeptly fold them between crusts and savor the lingering warmth of July days past.